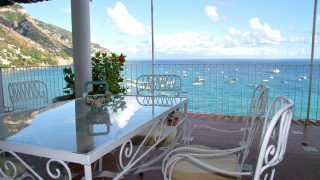 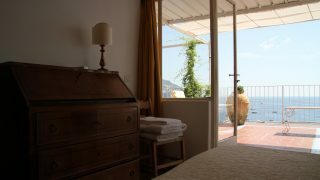 All our apartments have a stunning view of the bay and in clear days you can even see the cost of Salerno’s bay. 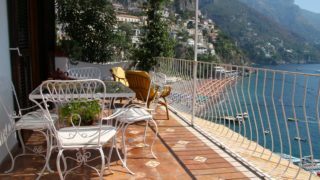 The apartments are stacked up the mountain, in true Positano style, so they are always sunny and each one has luxuriant plants. 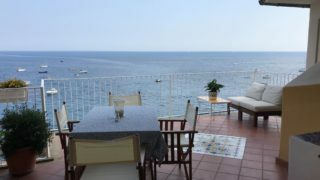 You will enjoy the morning breakfast being surrounded by the green of the plants and the dark blue of the sea and, at night, you will have dinner under a starry roof matched with the sound of the waves. 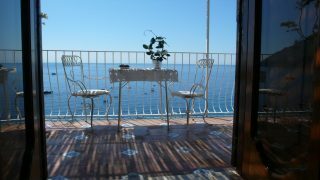 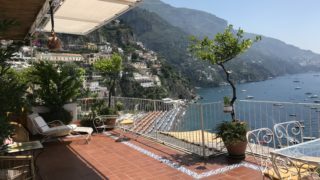 Casa Caldiero is located on a private stairway, which is only accessible to our clients, with two entrances: one at the top on Via Trara Genoino if you came by taxi or bus, and one near the sea at the bottom on Via Positanesi D’America if you come by ferry. 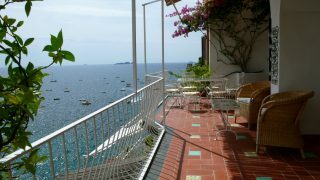 The Casa Caldiero owners will be on location during your stay to answer any questions you may have.